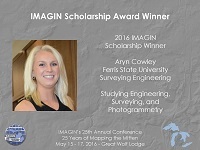 The IMAGIN Scholarship is awarded in recognition of outstanding student scholarship in the Geographic Information / Geospatial Sciences fields of study. 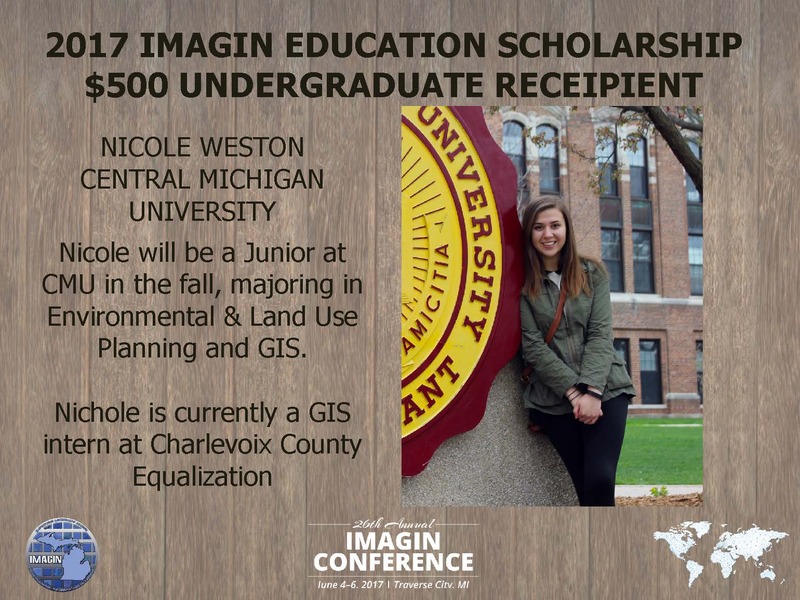 The $500 scholarship is awarded based on academic achievements in the field of Geographic Information Systems (GIS) and/or Geospatial Sciences. Any student enrolled in a Michigan College or University, either graduate or undergraduate is eligible for the award. 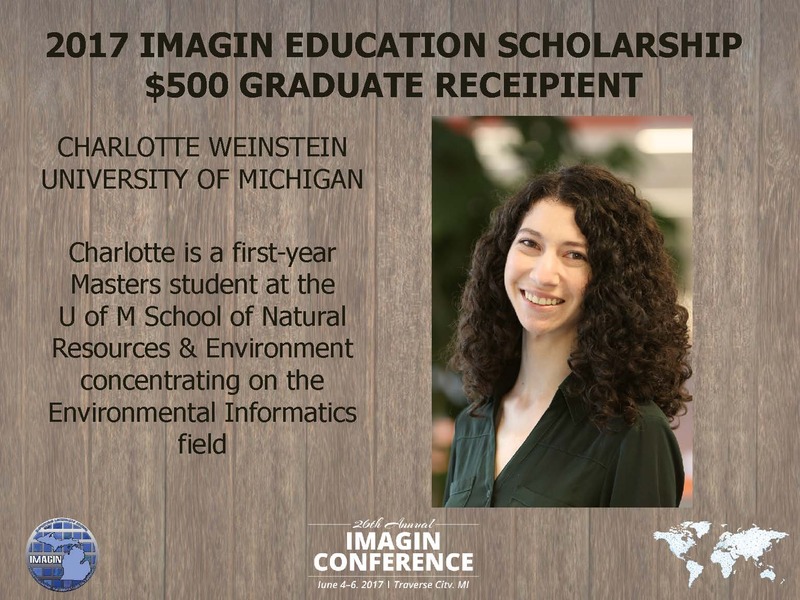 Scholarship applications are released on or around January 1st of each year, and the selection process is performed prior to the annual IMAGIN Conference, which typically occurs in May or June of each year. The scholarship is awarded at the Conference and the selected recipients are notified just before the conference. 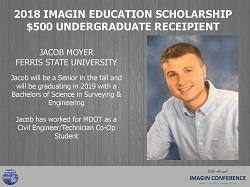 To apply for the 2019 IMAGIN Scholarship, follow the link below to submit your application. 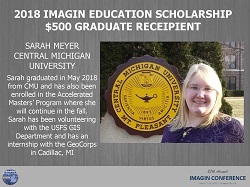 2018 For 2018, IMAGIN again had the funds to award two (2) scholarships, one (1) undergraduate and one (1) graduate level scholarship.